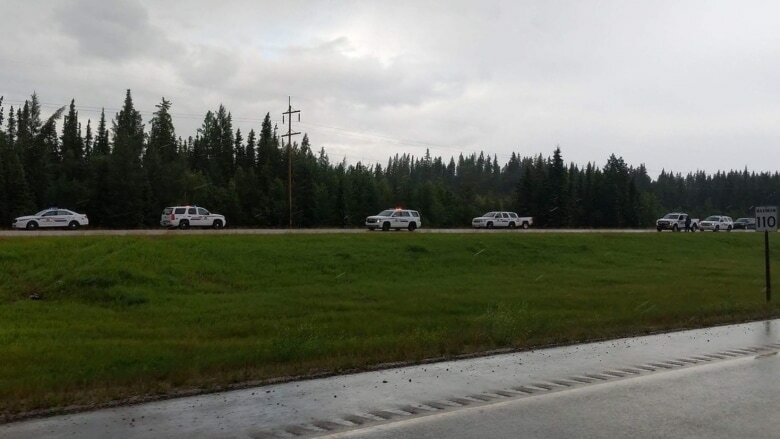 Man dies after confrontation with police on Highway 43 near Whitecourt | C.O.B.P. A man died Tuesday near Whitecourt, Alta., after a confrontation with police in which officers fired several gunshots. Whitecourt RCMP said officers tried to stop a vehicle on Highway 43. As the officers attempted to approach the vehicle, "a confrontation occurred which led to the discharge of members' firearms," police said in a news release issued just after 5 p.m.